With the growing trend in zombie games, do we really need yet another zombie defense game? The opinions are mixed; some people just can’t get enough of them, yet others think the zombie market is saturated. 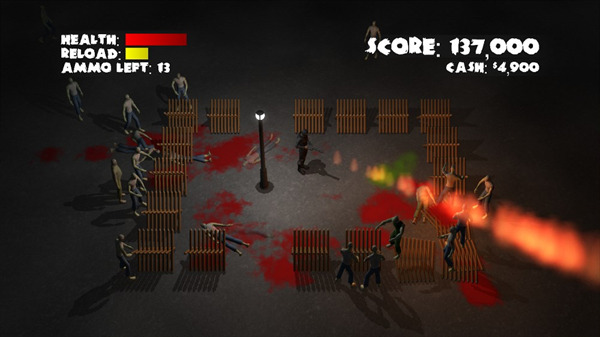 From AwesomeGamesStudio, here is ‘Yet Another Zombie Defense Game’. 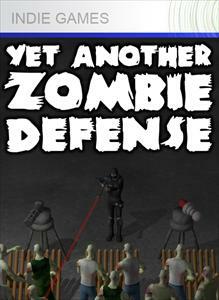 With the word defense in the title, you might be expecting a zombie tower defense game. This is definitely not. It’s actually more of a 3D dual stick shooter with an option to set up auto turrets. You could almost call it a hybrid dual stick turret defense game. The gameplay is quite a simple to understand – play as a survivor defending against waves of zombies. Waves are considered as ‘nights’. Survive as many nights as you can and gain a high score. At the start of each night, the toughness, damage, and speed of the zombies increase. Completing a night grants you the option of buying weapons, barricades, and mountable auto turrets. Occasionally, a killed zombie will drop cash, ammo, and health. Either save your cash for a better weapon and ammo for yourself, or buy barricades and auto turrets to defend against the horde of zombies. Your basic weapon is a pistol, but pretty quickly you’ll want to buy something better. A few weapons available to buy are an uzi, shotgun, flamethrower, rocket launcher, sniper, and laser, among other things. When buying an auto turret, you may mount any gun you posses. Keep in mind though; you cannot hold a weapon that is already mounted on the turret. The zombies move like you’d except, but visually, you would think they were just normal people. Occasionally there are new zombies with different colour clothes, but each zombie has the same shape. That isn’t so much an issue though as the game is about defending yourself for as long as you can. If you want a game with lots of blood, you won’t be disappointed. 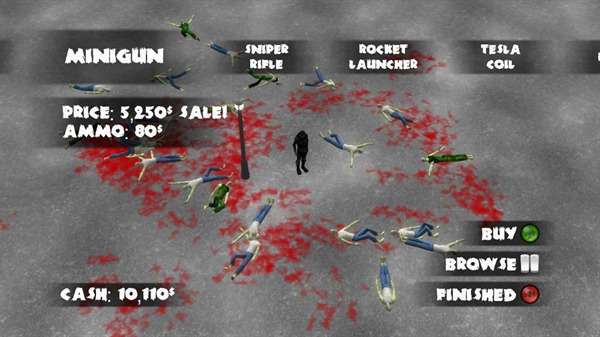 Each shot a zombie takes, blood is splattered on the pavement below. 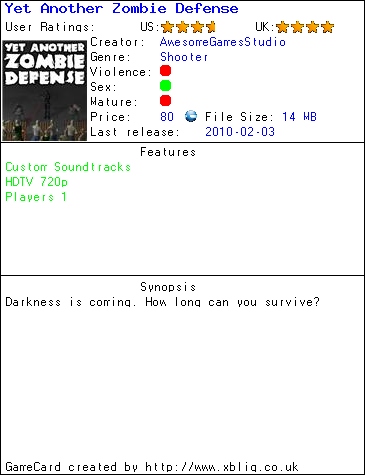 As it is a dark zombie defense game, the music isn’t as dark and atmospheric as you’d expect. It does however fit the style of game as you defend against multiple zombies. It’s mostly a hard-hitting rock beat with an underlining guitar riff. Although the concept is simple, playing the game is no walk in the park. The area available is quite big, but you’ll always be near the light in the center simply because the game is very dark. You do have an option to brighten the game, but it doesn’t provide the right tone. The one thing the game is clearly missing is co-op. How can you have a zombie game without co-op? It isn’t a big deal, but it’s always fun to mow down zombies with a friend. For 80 points, it’s quite a fun game to get your zombie killing fix. There are better zombie games on the market, but for what it offers, it’s hard not to add it to your collection. Download a trial of the game here. “Pioneer” plays and feels like an old-school SNES game, and that’s not necessarily a bad thing. 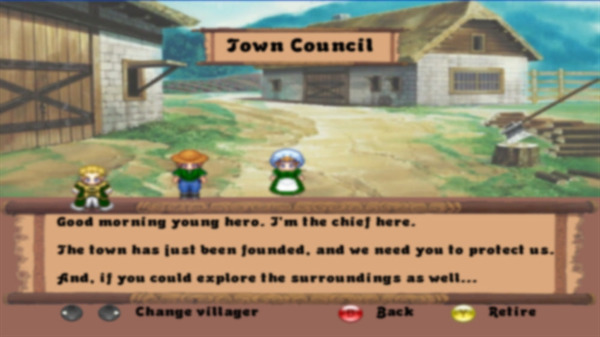 You play a single pioneer, freshly new to a small village. Your goal is to collect resources (thankfully, the game is simplified into having only two types), protect the villagers and your chief, attack enemy towns for conversion to your cause, and to kill undead skeletons and trolls. I’m not sure why the last goal was put in; perhaps fighting off bears would have been too unrealistic? 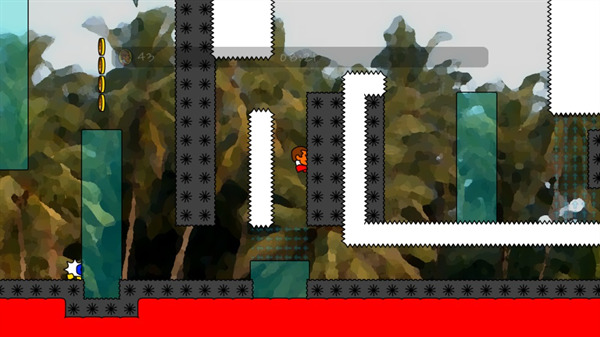 Walking around the randomly generated 2-d map, you’ll quickly grasp the hang of the game. The gameplay is simple, borderlining on perhaps too simple, as your only input is the “A” button to harvest a material or drop a harvested material, but the point of the game is not complexity. Indeed, it would be remarkably hard to lose this game, as you are instantly revived upon death, and each of your villages has a healer that will happily run over and heal your wounds should you crawl into town. Because of this, there is little competitiveness in the game, but I consider that a strength: Much like the full-titled Kingdom of Keflings for XBLA, there is a niche for non-competitive games that are relaxing and enjoyable. The art style is simple, bearing the 2-D isometric sprites first iconic of the 16-bit generation, and while it is not complicated, suites the game well. Different terrain is shown clearly, albeit plainly, and upon first seeing the different terrains, your character is told what to expect from each type. The music is benignly enjoyable, although musical transitions and loops really need some work (going from “town” to “raw wilderness” does have a sudden break in the flow of music, for example). 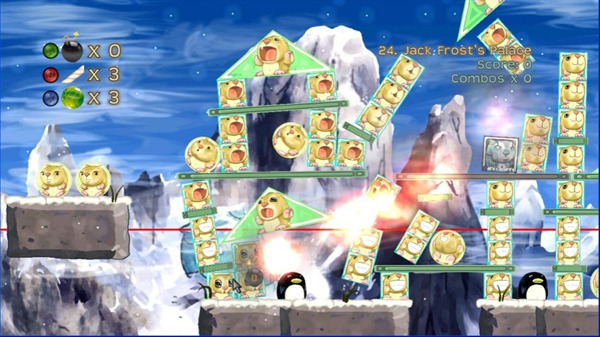 The game does support multiplayer, allowing up to 4 players on a splitscreen mode. Both competitive and cooperative multiplayer seem to be available, although the instructions on how to choose which seem a little fuzzy – when I “died,” I would often respawn as a different colour, which was thoroughly confusing for my friends beside me whether I was friend or foe that moment. This might just be a bug, but a curious one nevertheless. “Pioneer” is a fantastic game that takes you to a randomly-generated open world with a generously casual attitude toward gaming. 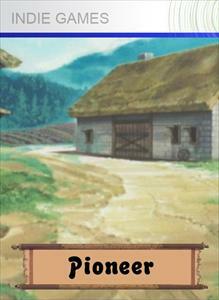 It has bugs, and quirks, and it will annoy you to no end when AI villagers stand in the most inopportune spots, but I must admit, I spent far more time than I needed to having simple, lighthearted, pure “fun” instead of writing this review in a timely manner. Now if you’ll excuse me, I have some more skeletons to kill and some apples to harvest. The Impossible Game is a twitch-platformer: nothing but perfect reflexes will see you to the end of the level. 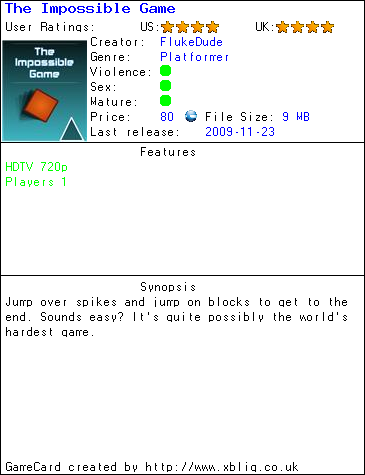 Unlike more complex platformers, The Impossible Game is played with a single button – “Jump.” The game automatically scrolls the new obstacles in for you to overcome, so the player need only concern themselves with timing. If this sounds like an easy cakewalk, dream on. The Impossible Game is a fantastically frustrating experience in platforming. Not since screwing up miserably at various levels in Trials or N+, over in XBLA, have I had such pleasure in failure. The difficulty is appropriately nightmarish, though not actually “impossible”, and the game even comes with a practice mode, allowing you to tackle the game’s challenges bit-by-bit, albeit without the promise of unlocking the trophies awarded for actually beating the game. Of course, you’ll quickly be sucked into the maddeningly addictive gameplay, and the trophies will no doubt come in time as you sink hour after hour into the deceptively enjoyable platformer. I suppose if I had to gripe, I would lament the fact that the gameplay IS so simplistic. It would be enjoyable to have multiplayer, with different-coloured cubes flailing around in a race, or to have some method of leaderboard ranking, but I suppose that based on how the game is designed, everyone would have exactly the same time for a successful run. 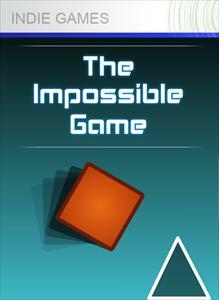 The Impossible Game takes itself to minimalistic heights – gameplay is concentrated to focus only on your mighty twitch reflex, graphics are simplified to be straightforward and identifiable, and the sound effects are suitably unobtrusive. Minimalism doesn’t stop there, however, as the price rolls in at a mere 80 MSpoints. My final thought? Even The Impossible Game has to finish at some point, and I’m still addicted. Johnny Platform Saves Christmas was voted game of the week by our forum members. Watch a trailer for the game here. When I first heard about a new platformer coming to the Xbox Live Indie Games section I got pretty excited. I love platformers. Ever since playing indie games like Arkedo Series – 01 Jump or the Johnny Platform games, I didn’t think any game could top them. So when it came time to play Herman, I was hoping it would earn a spot along side them and not disappoint. From the opening scene with the music and mood set, you know this game has the potential to be good. To be honest, I like how the game starts. The music is very atmospheric, and somewhat relaxing. If you’ve played the XBLA game Braid, you’ll be quite familiar with the intro and the way the story is told at the beginning. The game is about a man named Herman, who realizes his life is at an end and wants to quit his job. It also mentions that he likes a certain girl so he quits to look for her. After telling his best friend, a co-worker, his plan, word quickly spreads around the office. For some unknown reason, no one wants Herman to leave and will do anything to block his escape to the exit. Included in the game are said to be 25 long levels, 5 difficulty settings, 15+ original music tracks and over 200 backgrounds that portray Herman’s life. I made the mistake of starting the game on the second difficulty setting, “slightly easy”. The game was very slow, and hardly any challenge at all. I died a few times while trying to get a hang of the button layout. Through the few restarts, I noticed the level was randomly generated. This isn’t necessarily a bad thing, but after playing a few levels, you quickly realize the game is very repetitive and boring, yet somewhat addictive. When they say long levels, they mean it too. 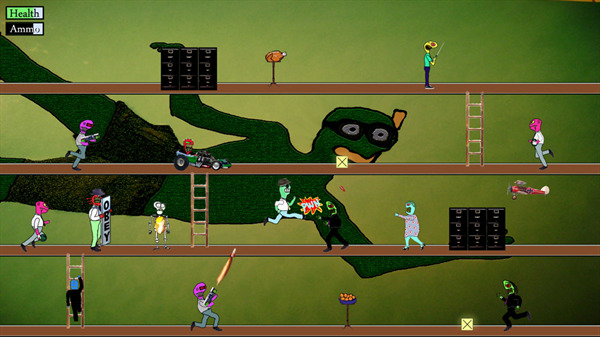 Each level could take up to 10 minutes to complete if you try to collect everything. With 25 long and repetitive levels, you think to yourself, do I want to finish the game? It would of been nice to of had more variety or puzzle elements in the game. The things that make other platformers good, and challenging. Now, I’m not saying this game is bad. There is a nice variety of enemies – there are fast enemies that run into you and chase you down, ladies that throw what looks like peppers or pens at you, go kart racers, R/C Airplanes, suicide enemies, guys with rockets, and so on. The main gameplay here is to head right and go up and down ladders, all while collecting packages, tangerines, turkeys for health, avoiding enemies and reaching the exit of each level. Your main form of attack is throwing tangerines at enemies. You can also kick them if close enough, but end up losing a lot of health this way. In most platformers to duck, you press down, but in this game, you press the Right Shoulder button. Not a big deal, just something to get used to. Also,something I found really odd, you can dig holes. Why would someone dig a hole in an office building? Also, why are you picking up tangerines to throw in an office building. Why not office supplies? When collecting packages you’ll notice they sometimes spawn in the filing cabinets. At first I had no idea how to get them, but when you finally see the suicide enemy, he’ll run into them and make the path clear. There is also a section after you complete a level where you can buy upgrades. I don’t really see much use for them, but they are there. The music in this game is actually quite enjoyable. 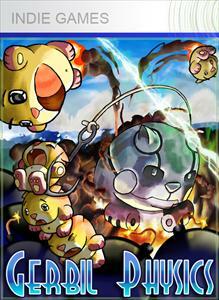 It ranges from atmospheric and relaxing music to upbeat escape music. The tracks are looped, but they are so seamless that you won’t even notice it starting over. If there was ever a soundtrack available, I’d recommend giving it a listen. When it comes to the Art style in this game, it’s somewhat hard to talk about. I mean, it’s unique, and all somewhat hand drawn characters. Not pixel based, high quality 2D characters, or 3D models like other games. I don’t mind it, but like all platformers I play, I like small characters. They are easier to control over the tall ones like Herman. The 200+ backgrounds aren’t anything special either. They are photoshopped pictures of Herman in various real life images that portray his life. It’s almost like a montage of his life before death. At first I really didn’t like this game and all I could think about was negative comments. After playing the game on a higher difficulty and thinking about it, my thoughts changed. The game is much more challenging and enjoyable, but still very repetitive. After fully playing it, you know the game has huge potential. The story and music alone are already great. With a new “engine”, art style, gameplay mechanics, and puzzle elements, it could of been a worthwhile game at 240 points. As it stands now though, it’s hard to recommend. I say maybe wait until Four player tangerine fight, the next game based on the Herman engine, is released and play that with up to 3 friends. But even then I wouldn’t recommend it. I give this game 5 “tangerines!” out 10. 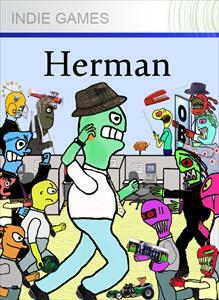 You can watch a trailer of Herman here. 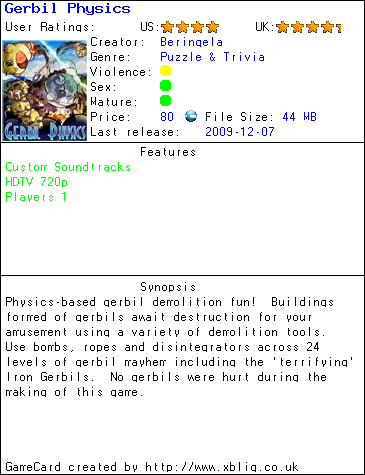 Gerbil Physics is a puzzle game where the physics engine IS the puzzle game, much in the vein of the computer games Porrasturvat (Stair Dismount) or Rekkaturvat (Truck Dismount). In physics puzzle games, you often influence the system very little, and are forced to watch the “outcome” of your specific choices. Imagine, if you will, a Rude Goldberg device that is missing a few key components. 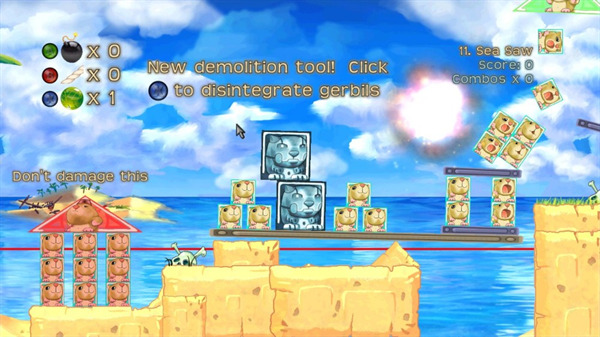 In the case of Gerbil Physics, the goal is always to get the target Gerbils below a “red” line, by demolishing the structures of gerbils – and before PETA comes a-charging, the gerbils are eternally cheerful and indestructible objects, bouncing to and fro under the explosions. As you place demolition charges over the map, your gerbils are flung around in the aftermath, ricocheting and rebounding however they might go. The key point here is that the physics engine, even in a simple 2-d form, determines that movement, so heavyset gerbils and lightweight gerbils respond differently. 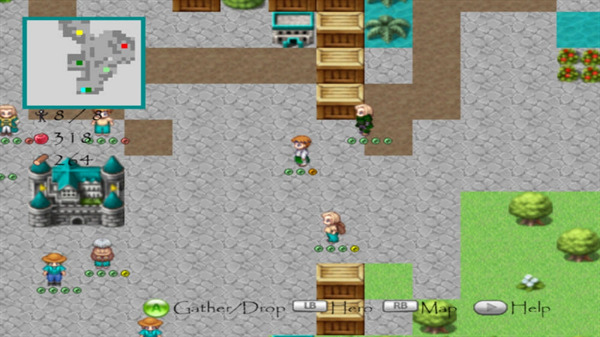 As the game progress, more tools are unlocked, and these tools add further complexities to the style problems you can solve, but the game never has a single “right” answer, so sometimes the oddest of tactics will pay off, and this diversity is what prevents the game from ever becoming stressful, even in its trickier levels. 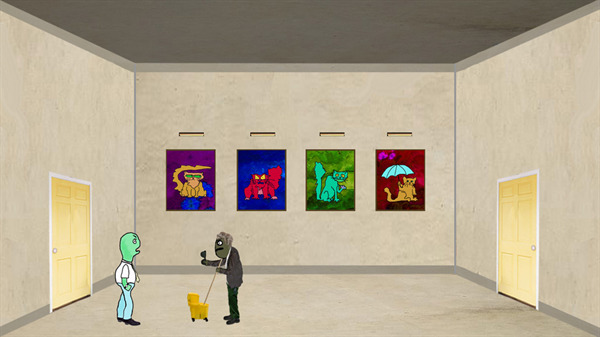 Artistically, Gerbil Physics is THE standard to which other XBLIG games should be held. I say this because Gerbil Physics has a strong level of polish – every part of the game meshes well with itself, be it animation, cute and soft-edged artwork, sound effects, or music. If nothing else, I would give this game high praise for the level of attention to detail and consistency demonstrated from start to finish – even a stage’s failure is met with cute, gerbil-related physics (that I shan’t spoil, because it’s truly worth the first chuckle). The only downfall of Gerbil Physics is its length – the entire game is a mere 24 levels long, and even with its cute sound effects and problem-solving explosions, you will soon be left hankering for more. But, given that the game was released for a single dollar (80 MSPoints), and given that those 24 levels are chock full of high quality gerbil mania, I’m willing to accept the tradeoff: I would rather, any day of the week, enjoy a short but excellent game on the cheap than buy something incomplete, dreary, or worst of all, unpolished. If you’ve ever enjoyed any casual game, from Peggle to Pogo.com, you can safely try Gerbil Physics. XboxHornet’s second Opinion. I have to agree with WDesm, this game is fantastic, I fell in love with it from the first play. It maybe short, but like Beringela’s first game Horn Swaggle Island it’s a polished Indie game that everyone should try. Watch a video of Gerbil Physics here. 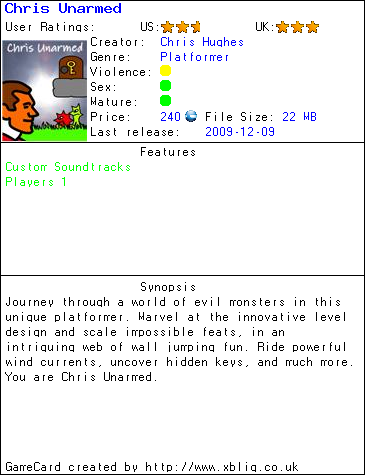 Chris Unarmed is a side-scrolling platformer. You play as Chris, who is only a head on a pair of legs. Once you’re done with, or completely ignore, the tutorial, it’s brought to your attention that, for some reason that isn’t brought to your attention in the opening narrative, you are the only person that can save the world. How this is possible, I don’t know, seeing as you have no arms and the only ability you have, jumping, is rendered useless by spiky enemies. 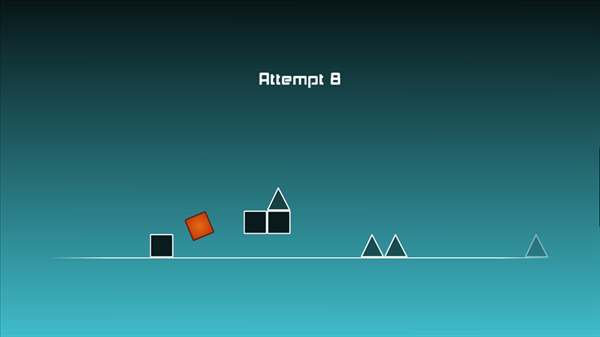 The premise of the game is simple, go through each level without touching enemies or spikes. It seems easy enough, but one thing I found, this game is not easy. While the level design is clever, which I appreciate, it’s also frustrating. I’ve died countless times over the course of a level. That being said, there are infinite lives, which are needed. 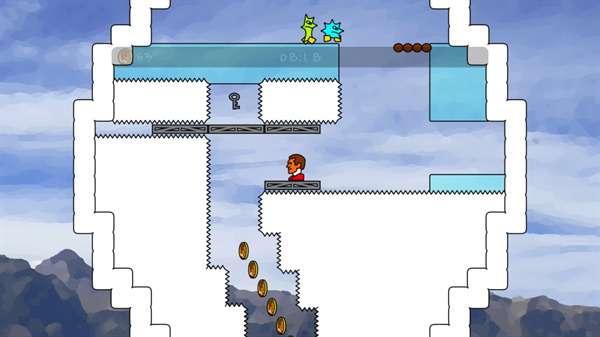 In addition, there are checkpoints throughout the level. While it’s a great feature to have in a game where you can die repeatedly, you’re never told where they are or when you hit one. I really would’ve liked to see that. There are doors throughout the levels, some of which are locked with color-coded keys, that lead you to little bonus rooms filled with coins and enemies. You also collect coins, which is one thing I wasn’t clear on was why exactly you should be going out of your way to do so. They don’t really seem to serve any purpose. There’s nothing to buy with them. Besides the coins and the counting-up timer, there isn’t really score that they’re boosting. The thing I really like about the game is the simple graphical design employed. All of the foreground objects are all individually one color, while the backgrounds on the other hand, are all rather attractive landscapes with a watercolor look. Enemies vary and, while they have different shapes, are color-coded so you know their attributes. There’s only one thing I don’t like about the graphics: there is no transition at all between doors. A simple fade would have gone a long way. The game has a single piece of nice music. It was very out of the way, and kind of reminded me of a medieval castle setting. While the music is well-composed, it’s very short, half of it is very quiet, and it loops. Yeah, you’re going to be listening to the same music the whole way through. In addition to the music, there are a handful of sound effects. While limited, they do their jobs reasonably well until you reach the point where you’re sick of the same sounds over and over. Like I said before, I’ve never died so many times. This game isn’t all that hard, it’s just unforgiving. Later on, there are spikes everywhere. In addition to the spikes, some of the enemy placements can be mean if you don’t do things just right. The mechanics, which seem dead-on, and the intelligent thought put forth in the level design could have made this game wonderful, but the sheer difficulty really can’t be overcome without limitless patience. Combine that with the repetition of the sound, and the seemingly pointless task of collecting coins, and the game just ends up grating on my nerves like a block of cheese after a while. I supposed if you’re a hard-core platform junkie, this could be right up your alley. If you just want a casual platforming experience, this might not be the game for you. Either way, you should give the demo a shot to see if it’s your cup of tea. 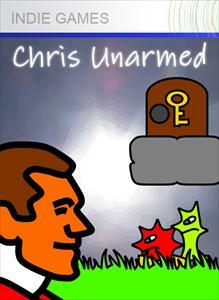 Having played Chris Unarmed I have to say that I did not really get on with it either, but I know that our friends over at XBLIG.co.uk liked the game, so pop on over there for another opinion. Christopher can be found on Xbox Live by the gamertag Azrane1.